Hazel W. Garwood, age 97, passed away on Wednesday, September 27, 2017 in San Antonio. She was born on November 13, 1919 in Temple, Texas to Clarence W. Wilson and Hattie Mae Mitchell. She grew up in Temple, Texas. 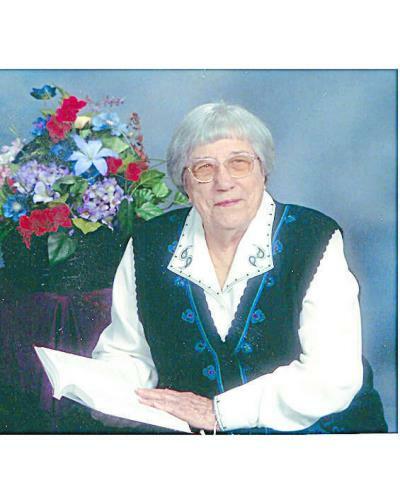 She was a member of Coker United Methodist Church for over 60 years and a lifelong resident of Texas. She was preceded in death by her parents; sisters, Velma Wilson and Vera Hinyard; brother, Cecil Wilson; husband, Bennett Garwood; daughter, Kay Fennell; and son-in-law, Stephen Thomas Nash. Hazel is survived by her son, Bennett Garwood, Jr.; daughter, Linda Nash; son-in-law, Rusty Fennell, nieces, Louise Harrison and Alice Gordon Lackness; numerous grandchildren and great grandchildren, and three generations of nieces and nephews. Published in the San Antonio Express-News on September 29, 2017.